Unless you're living under a rock, it isn't news that Chance The Rapper is one of the most incredible things to happen to hip-hop. Or, rather, music. Between his genius bars ("God level," as Kanye West recently described them), working with his instrumental band Donnie Trumpet & The Social Experiment and dabbling in almost all genres, the 23 year-old unsigned artist is a seemingly endless source of creativity, who's revolutionizing the hip-hop sound. The First Time - Donnie Trumpet: Donnie Trumpet & The Social Experiment's critically acclaimed album Surf dropped one year ago last week, resurrecting last summer's memories of perching on balconies and park grass alongside its jazzy, star-studded tunes. Honestly, will there ever be a better summer album? To commemorate the masterpiece, Donnie Trumpet uploaded an 11-minute long medley of unused Surf material that features Chance, Dustin Green, Cam Obi and more. The beautiful mix paints an eclectic sonic picture - showcasing what Donnie calls "an ode to the era." Waves/Famous (Chance The Rapper demos) - Kanye West: Everyone remembers Chance's game-changing verse on The Life of Pablo's "Ultralight Beam," but some aren't aware of his heavy involvement in the rest of Kanye's huge eighth album. 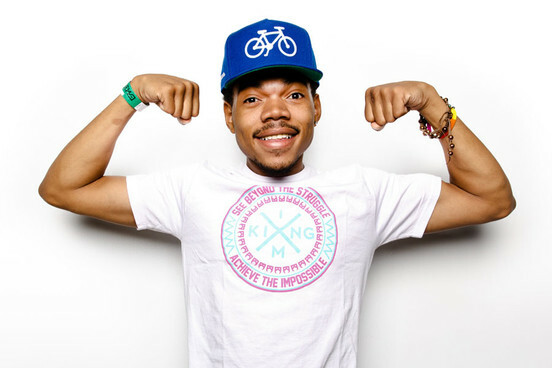 Chance is apparently the reason for TLOP's delayed release, because he (thankfully) fought so hard for "Waves" to make the cut (as well as contributed his coined croon to the original demo). He also dropped a mean verse on the first run of "Famous," the Rihanna-kissed hit that he still refers to as "Nina Chop." Listen to the demos below, as revealed on Zane Lowe's Beats1 show.